​Think that hurts more than losing to ​UMBC? In Monday night's ​marquee matchup between Virginia and UNC, the Tar Heels' Brandon Robinson made a last-second attempt to save the ball. In doing so, he hit one Virginia player in a sensitive area...by accident, we presume. 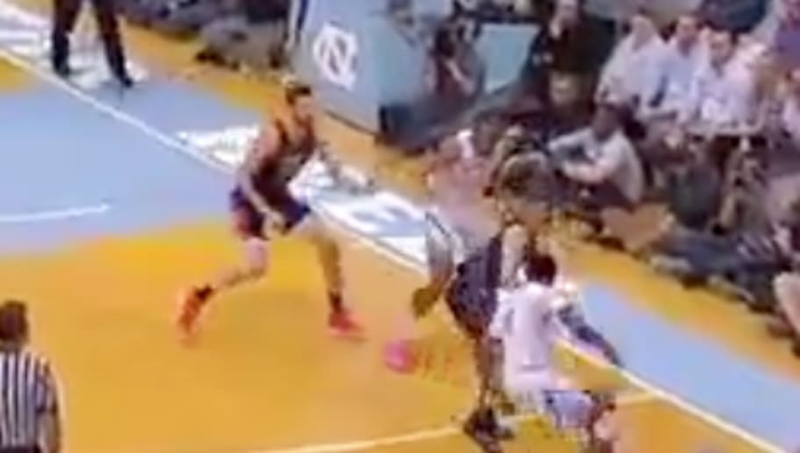 This unintentional cheap shot didn't take away any of Virginia's offensive enthusiasm, however, as the Cavaliers ran through UNC's defense in the first half, piling up an impressive 36 points. Recovery time aside, this is just another example of why it's vital to wear a cup in competitive sports.